Enjoy 2 pens in 1 with these special double-ended markers! 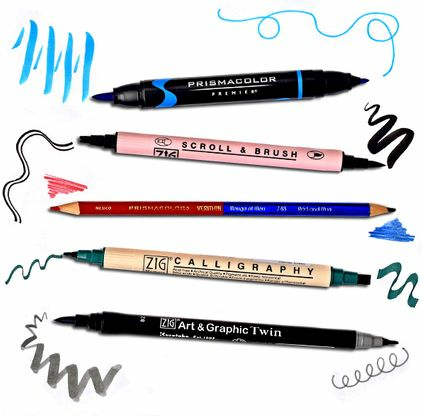 With a variety of colors, ink types, and tip styles, you're sure to find just what you're looking for. 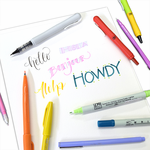 Great for both artwork AND practicing different lettering/calligraphy styles! *Storage tip: Double-ended markers should be stored horizontally to prevent the ink from drying up on one end and discoloring on the other.